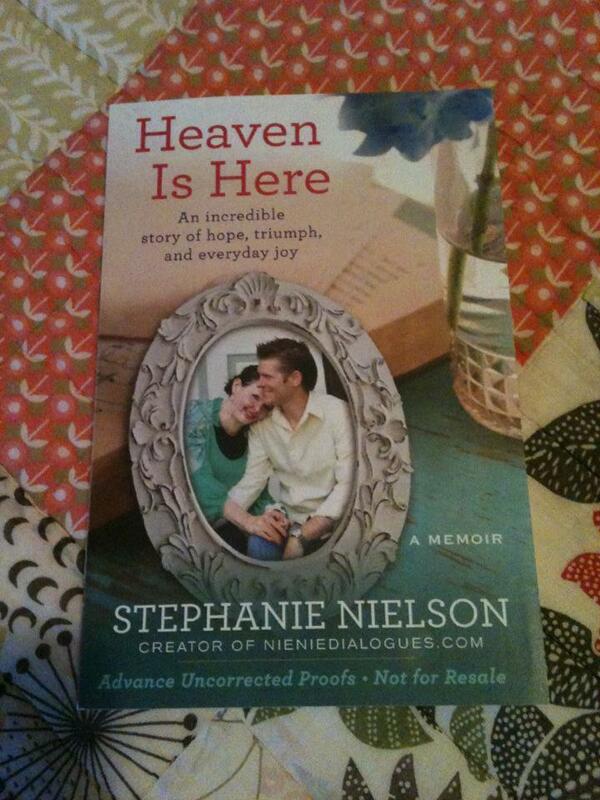 A few weeks ago I was approached about reading a book written by Stephanie Nielsen of the Nie Nie Dialogues. I was excited because I was already planning on reading it! Reading the book awakened within me a huge sense of love and empathy for someone I don't personally know. I literally cried through the whole thing and kept imagining myself in that situation and how I would deal with it. It's a book about hope as well as her relationship with her darling husband 'Mr Nielsen' and their 4 beautiful children. She describes deeply personal near death experiences, and shares with her readers how her relationship with Jesus Christ strengthened her and got her through difficult times. I received the book and had finished it within 24 hours because it was such a good book. After reading it I had a desire to be a better mother and to view my own personal beauty as something that is truly found on the inside. Read it you will feel so blessed for all you have and feel encouraged to become a better person!! Pre-order it here (it comes out April 3) and let me know if you read it what you think!!! AH I want to read it, she is AMAZING!